Healthcare Solutions to Capture, Manage & Report. See how we helped HSE’s Health Business Services achieve their digital transformation goals. Build Better Relationships. Track Engagements. Build Better Relationships. Track Case History. A Partner and Platform you can trust. 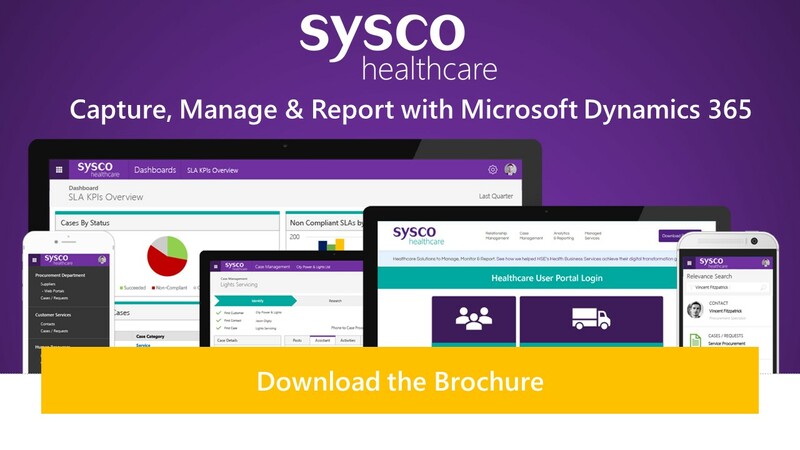 Sysco Healthcare monitors strategic performance indicators and provides reports in real time so that senior management teams can make efficiencies across all aspects of the business. 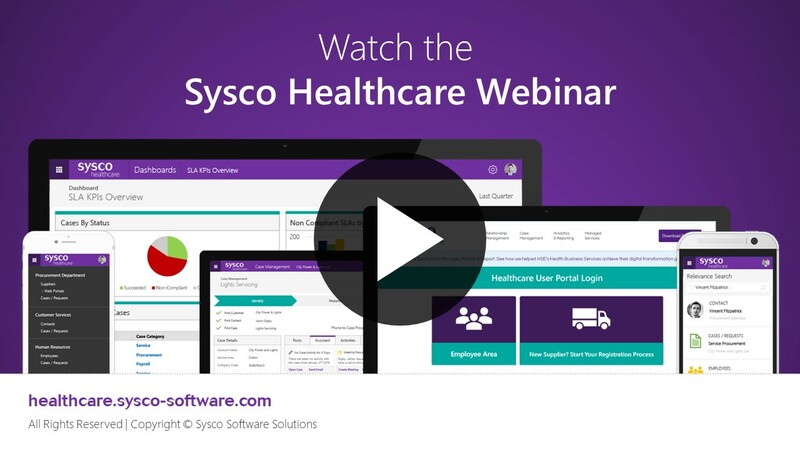 Sysco Healthcare enables organisations to move beyond traditional record keeping systems. Sysco Healthcare is a digital transformation platform that unifies business processes and provides a single view of the infrastructure that delivers key front-line health and social care services to those who need it.